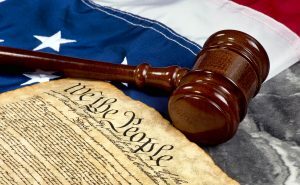 Lately we have been receiving a large number of inquiries from people who have had their Stamford, Darien, Greenwich, Norwalk, Westport, Fairfield and New Canaan criminal cases dismissed but still are finding the old arrest articles are on the internet and causing them problems with job searches and ruining their reputation. Yes we can help you to get these nasty articles removed and manage the situation. Technology is constantly changing and the world of media is rapidly moving. Just a few years ago most arrest reports were published in print in the so called “Police Blotter” section which only a few local people would read who are hungry for gossip and then they would throw away the newspaper and forget about it. The problem is that with shifts in trends towards the internet and digital media the old fashioned newspaper is quickly becoming unprofitable. The Law with respect to family related, domestic violence issues. Book of law with a gavel and a Restraining Order. 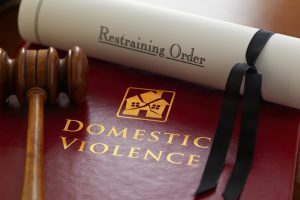 As of January 1, 2019, Connecticut just passed a dramatic change in domestic violence enforcement which will have significant effects upon the rights and cases of people who get involved in domestic violence arrests. The previous law required so called “dual arrests” which meant that Police were required by statute to arrest both or all parties in a domestic violence case if they found probable cause that they had committed a crime. As probable cause is the lowest standard of proof in a criminal case this very often had the effect of victim’s of domestic violence being arrested after having called 911 for help when the attacker or abuser claimed that the victim “hit them first” or other similar allegations. This resulted in a lot of needless cases filling our Courts and a lot of victims getting a bad taste in their mouths for calling the Police. In some jurisdictions the rate of dual arrests is as high as 30% in domestic violence calls. I have been writing in my blogs and on my web page recently about the Local Police departments apparent resistance or push back against the Legislature’s efforts to decriminalize the possession of small amounts of Marijuana in 2011 and the lowering of the penalty of the possession of small quantities of cocaine and heroine from a felony to a misdemeanor in 2015. As I have explained the Police has seemingly pushed back against these legislative initiatives by up-charging or adding charges under questionable circumstances such as the crime of operation of a drug factory or possession with intent to sell. In these cases the Police really tie your hands because they take what would have been a mere non criminal violation punishable by only a fine or a misdemeanor level possession offense and they turn it into a serious felony charge for which you can be facing up to 7 years in jail for marijuana and 15 years in jail for narcotics. In many of these trumped up possession with intent to sell charges the allegations are simply totally without any basis in fact. 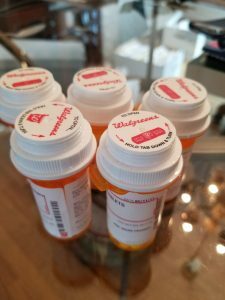 The bottom line is the drug dependent individuals who regularly consume drugs for their own personal use may carry a small scale to weigh the drugs they purchase to make sure that they are getting the correct amount they purchased. Similarly, regular users normally buy their stash in larger quantities to last them a few days and them break it down into individual packages for daily use. Regrettably, the local Police are going to take advantage of any of these situations to add the charge of possession with intent to sell when ever they can. I have had a lot of clients lately who have been arrested after getting involved in various disputes while they were legally carrying handguns. I do represent a lot of clients in weapons crimes cases but these were not weapons cases. These were normal run of the mill breach of the peace or disorderly conduct cases that got escalated into much more serious charges due to the fact that the victim became aware that my client was carrying a weapon. No, they did not pull the handguns out and point them or brandish them at anyone. 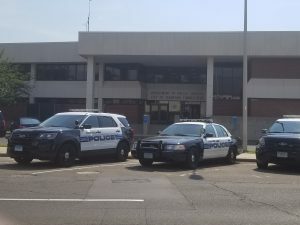 However the fact that the alleged victim(s) were able to ascertain that they were in possession of a handgun was enough for the Police to add additional charges for reckless endangerment based upon the unfounded allegations that my clients were carrying a handgun and brandishing it in the middle of a altercation. All pistol permit holders are entitled in Connecticut to either carry a handgun concealed or open carry. In addition, you do not have to produce your pistol permit to a Police officer unless you want to if you are open carrying unless the officer has probable cause that a crime has been committed – such as the complaint of a citizen that you are openly carrying a handgun and that is resulting in disorderly conduct. In 2017 The State Legislature debated a house measure which would have required that gun permit holders carrying a visible pistol or revolver to produce their carry permit at the request of a law enforcement officer. That bill did not pass. This week Governor Malloy for the third straight year signed into law legislation which he sponsored aimed at curbing the growing opioid crisis in Connecticut. Although laws have been getting tougher on medical doctors and pharmacists in an attempt to stem the flow of new addicts getting hooked on prescription pain killers there seems to be a multitude of the population already hooked on these pills who responded to these new regulations and restrictions on obtaining their prescription pain pill fix by jumping to illegal opioids which have become more potent and less expensive. Obviously, these legislative efforts and in addition all the arrests that Police are making on the streets are not working as the death rate is skyrocketing. In 2012 there were approximately 250 drug overdose deaths in the State of Connecticut. In 2017 despite all these efforts the death rate has increased 4 fold and we are on a track to break 1,000 drug overdose deaths in 2017. The root cause of this phenomena is that the new legislation and pressure on doctors has made it more difficult for individuals who were hooked on prescription opioids such as oxycodone to get refills or maintain a supply through conventional means. The price on the street for oxycodone has skyrocketed. At the same time prices for heroine have decreased dramatically and the purity has increased significantly. These trends have combined to create a perfect storm wherein an entire generation of opioid users are shifting from abuse of prescription pills to use of illegally obtained heroin on the street. On July 1, 2017 the Legislature passed Public Act 17-31 (effective October 1, 2017) which had some significant changes for domestic violence laws in Connecticut. The most interesting was the modification to the stalking statute to significantly relax the threshold for a criminal prosecution and at the same time expand the means by which stalking crimes could occur to include stalking by electronic communication and social media such as facebook, instagram, etc. According to the Center for Disease Control and Prevention there are about 25 incidents of domestic violence every minute in the United States. While nationwide trends have shown that the rates of domestic violence have dropped significantly since their peak levels in the early 1980’s after many States including Connecticut began implementation of radical changes of how domestic violence Police investigations were handled and how the cases were prosecuted in Court. In the early 1980’s Police often responded to domestic violence 911 calls in a “peace keeping” capacity. They would come out to the home, calm everyone down and then leave without arresting anyone. After the watershed 1983 case of Tracey Thurman in which she sued the Torrington Police Department alleging that they failed to protect her because she was a woman and a domestic violence victim. As a result of this break though litigation, the Connecticut Legislature responded with a sweeping series of radical changes to Connecticut law to protect domestic violence victims. These reforms included the requirement that Police make arrests when they respond to 911 calls if they find probable cause that a crime has occurred; the definition of family violence crimes as separate offenses; establishing a separate domestic violence docket and unit at each Court House to handle domestic violence matters and requiring that all domestic violence offenders be brought before the Court within 24 hours for an arraignment so the Court can issue orders of protection as needed to safeguard the victim. “Investment Bank Top Exec in Shoplift Bust at Whole Foods” – What Shoplifting by Multi Millionaires Teaches us about Shoplifting Cases? A recent article in the New York Post described the story of a top executive at a billion dollar investment bank, Jordan Lupu, 42, co-head of global prime brokerage at BMO (Bank of Montreal) Capital Markets who was arrested for shoplifting $210 of grocery items from a Whole Foods store in Manhattan. 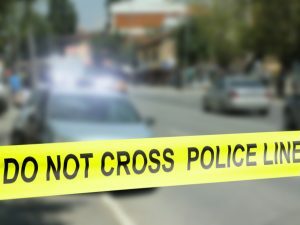 I guess this story made headlines in New York tabloid media because so many people were shocked that multi millionaire with a $3,000,000 home in Manhattan and a $1,400,000 home in Westchester (a wealthy suburb of New York City) would risk everything to try and steal $210 worth of merchandise which he could clearly afford to pay for. Lupu was pushing a double stroller through the Whole Foods with his two minor children, while shopping he placed a total of 31 items valued at $210 underneath the stroller and then according to security officers at Whole Foods he then attempted to leave the store without paying for the items.